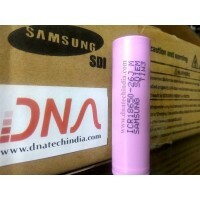 DNA Technology, Buy Electronic Components online in India, Online Shop, low price. Various wired and wireless Communication IC's available. Buy various Wired & Wireless Communication IC's online at very affordable price. Your online source for Electronics Components, Sensors, Modules, Wireless Kits and Robotic Accessories. You can also but it directly from our store in Nashik. 74HC245 SMD Octal bus transceiverThe 74HC245 & 74HCT245 is an 8-bit transceiver with 3-state out..
CH376S USB Host bus adapter chipCH376 is used as file manage control chip, used to MCU system read/w..
MAX488 RS-485/RS-422 TransceiversThe MAX481, MAX483, MAX485, MAX487–MAX491, and MAX1487 are low-powe..
MCP2515Stand-Alone CAN Controller with SPI InterfaceMicrochip Technology’s MCP2515 is a stand-alone&..
MCP2551High-Speed CAN TransceiverThe MCP2551 is a high-speed Controller Area Network (CAN), fault-to..
MOC7811 Slotted Opto Isolator ModuleMOC7811 is a Slotted Opto isolator module, with an IR transmitte..
HT12E: RF Encoder The 212 decoders are a series of CMOS LSIs for remote control system applications..
HT12D : RF Decoder The 212 decoders are a series of CMOS LSIs for remote control s..
MT8870 DTMF Decoder The MT8870D/MT8870D-1 is a complete DTMF receiver integrating both the band..
MAX232 ICMAX232 is a communication IC. It is used to convert TTL Signals to RS232 Signal and vice ve..